Swells are forecast to affect parts of the coastlines of southwestern Mexico, the southern Baja California Peninsula, and Southern California. 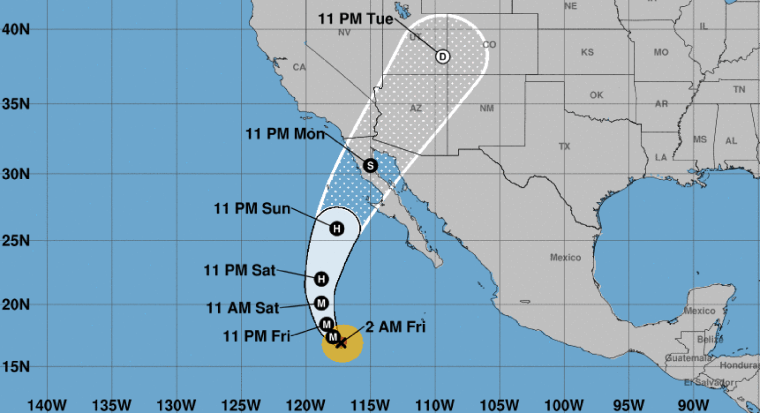 Hurricane Rosa intensified into a major storm in the Pacific Ocean, with maximum sustained winds of 145 miles per hour, the National Hurricane Center said late Thursday. "These swells are likely to cause life-threatening surf and rip current conditions," the Miami-based center said. The Category 4 storm was moving west at around 7 mph at 2 a.m. ET on Friday. No coastal watches or warnings were in effect, the NHC said.